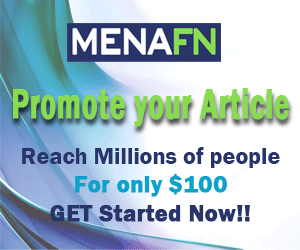 (MENAFN - Jordan Times) AMMAN — After a childhood spent in the West Bank and Nablus, 13-year-old Samiha Janakat moved to Jordan, where she got married at the age of 18 and gave birth to one girl and four boys. Janakat is now 70 years old, and a revered figure in her family of seven grandchildren. 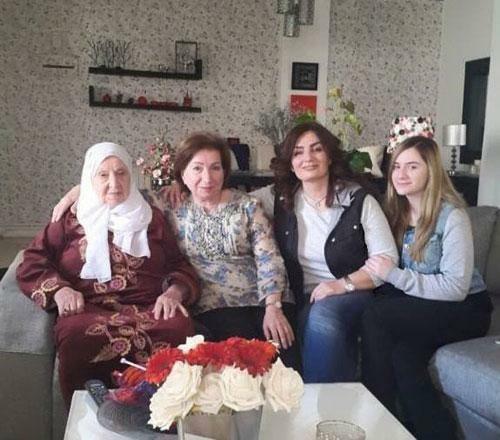 "I am Jordanian of Circassian origins and it is very important to me to keep my Circassian heritage alive and pass it onto my children and grandchildren," she told The Jordan Times ahead of Mother's Day celebrated on March 21. "My grandparents are the ones who immigrated to Jordan and it has now been more than five generations since we left our lands. Although I try to retain it, it is inevitable that you will lose some parts of your identity over time, especially those that are not compatible with the local culture," she explained, citing the example of marriage, which traditionally lasted for two weeks and was cut short to the local standard of one-day. "Another thing is the language: while we try to preserve it, the young generations are not as interested in learning it," Janakat said, noting however that she tries, through family time, cooking and traditional events, to pass on some of her heritage to the youngest members of her family. Since her arrival to Jordan, Janakat has been very involved with Circassian organisations and social events related to the Circassian community, so as to preserve her traditions and keep her identity alive. At 13, Janakat started sewing following the example of her aunt and mother and to be part of the Circassian traditions that teach girls how to sew. "I used to watch the older women in my family sew and I learned it as a hobby. I loved it and started specialising in Circassian traditional clothing, which I now think of as my way of preserving the Circassian tradition," she said, underscoring that "this was also a big source of income which helped me take care of my family". A renowned figure in her local community, Janakat became noticed for her work and asked to design the traditional Circassian attire for the dancing troupes in Jordan, Syria and even New Jersey. "I am very proud to see my work on stage being enjoyed by many people, I feel like I am leaving a mark and keeping the Circassian identity alive," she expressed. The woman has also been a member of the Circassian Philanthropic Society for the past 45 years, volunteered at the Al Takaful Al Ijtimaai (Social Assistance Programme) to support families in need, and organised trips to the Caucasian region for Jordanian tourists interested in the Circassian old country. "I love volunteering and serving the community. It gives me great pleasure to be able to help others and be part of my community. This is why I ran for the board of directors of the society as I feel that, as a female, it is important for women's' voices to be represented at the decision making level," she continued. "Throughout my life, I have tried to raise my children and grandchildren to be independent and good people. My eldest daughter grew to become a strong woman and a good mother who started her own successful business and raised good hearted children," Janakat stated, adding "at this point in my life, my main pleasure is my grandchildren and I hope to see them preserve the heritage I taught them as much as they can." For Hamza Arsbi, one of Janakat's grandson, "my grandmother is one of my inspirations, she and my mother gave me and my siblings two powerful female role models who defied societal norm to create their own paths and follow their passions. I am proud to have them and learn from them." The first people to settle in Amman in modern times, the Circassians started arriving in the 1870s, tracing their origins back to mountain villages above the eastern Black Sea, in the region of the Caucasus, according to web sources. In 1921, Circassians were granted the position of the personal trusted royal guards of King Abdullah the First. They have since been part of the royal guard, serving all four Jordanian kings.